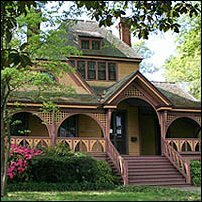 The Wren's Nest is a stately Queen-Anne Victorian home built in the 19th century. It's typically quiet during the day, except for the occasional tourist... After dark, an other-worldly group of visitors wander through the halls. Two infant boys have been seen playing on the stairs, perhaps they were the owner's grandsons, lost in childhood? And an unnamed woman frequently entertains in the parlor. 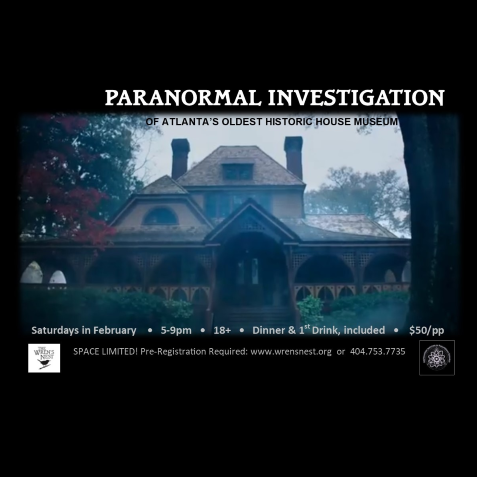 Join her here and the team from the Southeastern Institute of Paranormal Research to investigate the unexplained activity at The Wren's Nest.